Train to be a genius at presentations, pitching and facilitation. Imagine how much more successful you and your business would be if your presentations were off-the-charts engaging! What if your meetings were truly high-impact? If your training workshops grabbed people’s attention and compelled them to learn? 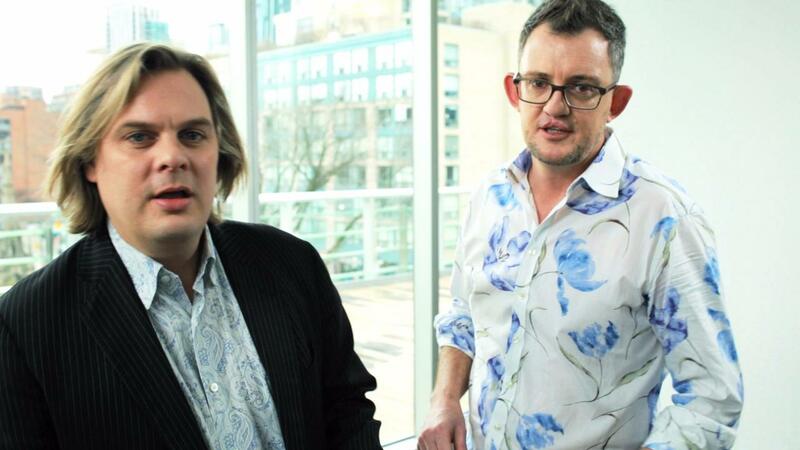 Creating the most useful materials, and avoiding "Death by PowerPoint"
Crafted and presented by sought after expert trainers Mark Bowden and Michael Bungay Stanier, this program allows everyone to become a Presentation Genius! Mark Bowden is voted the world's #1 body language expert for three years running, is presentation skills trainer for the world's #1 Executive MBA, Fortune 50 CEOs and G8 leaders, and is the founder of communications skills company TRUTHPLANE®. He is the author of three books of body language and human behavior. Michael Bungay Stanier is Senior Partner of Box of Crayons™, a company that helps organizations do less Good Work and more Great Work; he was the very first Canadian Coach of the Year, he is voted the #2 coaching professional in the world for 2016, and is a Rhodes Scholar. He is the author of four books on development and coaching. Get unlimited access to all 5 hours of our flagship facilitation and presentation training videos! Included with the video training are: downloadable workbooks and worksheets; bonus videos; links to follow up learning; and Mark and Michael's written commentary on the training as you work though it. This is our most comprehensive and detailed training program to date, and undoubtedly one of the best in the world!